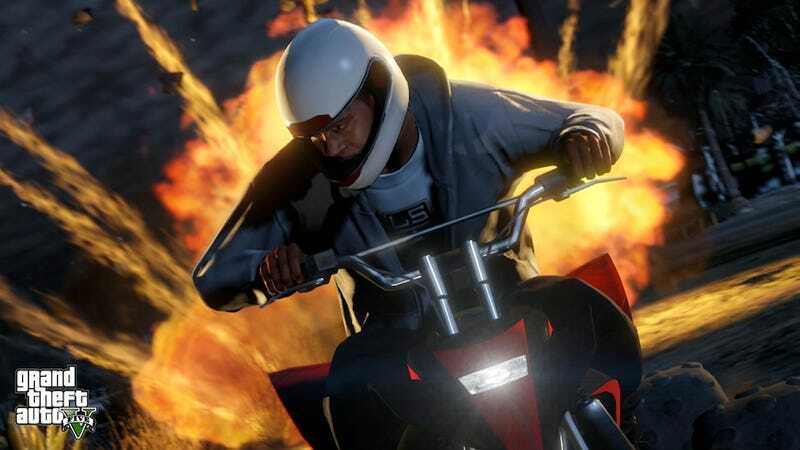 Is Grand Theft Auto V the best game ever or just the best game ever? Can Nintendo save the Wii U? What does "next-gen" actually mean? A few months ago, right after E3, Kirk and I put together an impromptu podcast. Kotaku readers seemed to like it, so we're bringing it back. Starting today, we're going to try this whole "podcasting" thing on a regular basis. We're gonna call it Burning Questions, and, like the feature of the same name, it's going to revolve around a handful of essential questions that are sure to lead to all sorts of healthy debate. I had some issues getting a proper mic working, so I had to use my crappy iPhone headphones. Sorry about the quality! I'll have a better mic next time around. We'll be taking reader-submitted Burning Questions too! E-mail us or post them in the comments below. 02:20 - Is Grand Theft Auto V going to be the best game ever or the worst game ever? There are no in-betweens. 19:03 - What is "next-gen"? 29:20 - What's inside the Nintendo Treehouse? 42:00 - Can Nintendo save the Wii U? Or download the podcast directly right here. If you'd like to submit a question to be considered for the next episode of Burning Questions, either post it in the comments below or e-mail jason@kotaku.com with the subject "Burning Questions." And again, sorry for the mic issues!